Woodstock Ecology "Voice & Vision"
Finalist- Capital Region Blues Network Blues Challenge! Thanks to the folks at the Capital Region Blues Network for choosing me as a Finalist in their annual Blues Challenge. I'll be joining the other three Finalists for the finals at Caffe Lena on Sunday, Sept. 9th. Fingers crossed-- oh no, wait, I couldn't play like that! See my calendar for details. New Review for "Little Red Wagon"
I thought I'd spend time on the last snow day "catching up on my listening," so I broke out some of the CDs that were on my "to hear" list. I won't claim to have gotten that far--partly because (as is my wont) I started playing the same one or two almost obsessively. 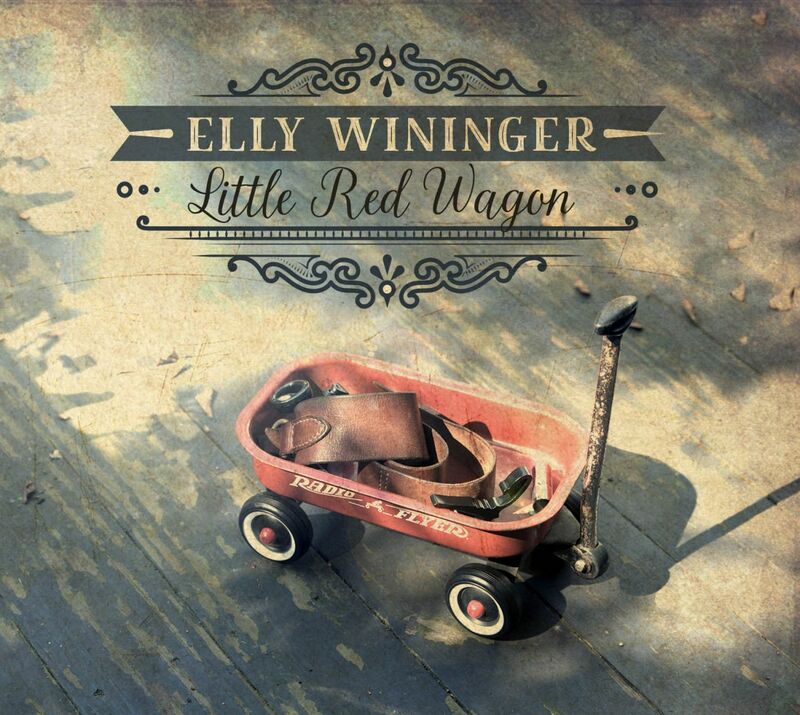 Anyway one of the day's favorites (and STILL in heavy rotation) was Elly Wininger's most recent record, LITTLE RED WAGON--which, contrary to the old saying, scarcely needs any "fixing". Elly was inducted into the NYS Blues Hall of Fame a few years back, and deservedly so. But like so many other favorites of mine (including, say, Bonnie Raitt and Tracy Nelson), she is not limited to any one genre. As her self-penned liner notes indicate: "LITTLE RED WAGON" is my interpretation and integration of the country blues, folk, a bit of Cajun, a touch of country, some R&B spice..." And I'd add some beautiful balladeering. I dare anyone to listen to her gorgeous and very moving, "For Fred" (which when I first heard her perform it live, I assumed was called "Thank You For Getting Me To Dance") and NOT choke up at least a little. Beautifully produced and packaged, with an extensively detailed booklet of lyrics, photos and notes, and featuring an array of talented musicians accompanying her (including back-up vocals by her fellow "Cupcakes," Janice Hardgrove Kollar and Lyndon Hardy, and THAT's a blend I'm always all too glad to hear). Too early in the year to announce my album of the year, but this will be in my Top 10 fer sher. Review of "Little Red Wagon"
Thanks to music journalist John Burdick for this review! Happy to report that my new CD, "Little Red Wagon" is #8 on the Folk DJ Chart for January 2018! I'm doing better than the stock market! !